Never forgive, never forget. Jack Reacher lives for the moment. Without a home. Without commitment. But he has a burning desire to right wrongs - and rewrite his own agonizing past. Never apologize. Never explain. 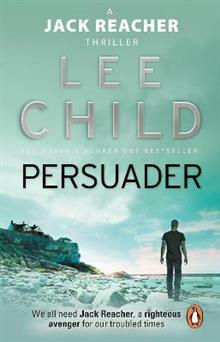 When Reacher witnesses a brutal kidnap attempt, he takes the law i... read full description below. Never forgive, never forget. Jack Reacher lives for the moment. Without a home. Without commitment. But he has a burning desire to right wrongs - and rewrite his own agonizing past. Never apologize. Never explain. When Reacher witnesses a brutal kidnap attempt, he takes the law into his own hands. But a cop dies. Has Reacher lost his sense of right and wrong?